Many people have trouble selling their homes, but you may face increased difficulties due to frequent moves required by the military. At times, such as when a base closes, the Department of Defense provides special programs to help military members alleviate the financial burden of selling a home. However, most military members have similar options to civilians when it comes to selling a home. When you receive notice that you'll be transferred to a new duty station, you'll decide what you want to do with your house. If you're transferred overseas and your family isn't traveling with you, they may wish to stay in the home. If you decide to sell, a real estate agent can help you quickly put your home on the market and find a buyer. You can avoid agent fees by listing the home yourself, but this typically takes more of your time for advertising and showing the home. Once a buyer is interested, you'll negotiate a sales price and set a closing date. Your duty station may offer temporary living quarters if your closing date is before your actual move overseas. At closing, you and the buyer sign transfer paperwork and mortgage documents required by your title company and mortgage company. After title is officially transferred and your mortgage is paid, you no longer have responsibility for the home. Many military families who can't sell their homes at a high enough price choose to rent the house instead of selling. Some want to return to the area when they get out of the military, so they look for renters to occupy the home until they're ready to move back. Either way, a renter may provide the necessary income to cover mortgage costs and repairs while you aren't able to live in the home. You can hire a property manager, often affiliated with a real estate agent, to look after on-scene rental tasks like finding and vetting new tenants, handling rental payments, inspecting the home when tenants move out and arranging for maintenance and repairs. While you can handle these tasks yourself, it is often difficult to manage a rental when military duty requires your absence. If the housing market in your area is struggling, you might find that you can't sell your house for what you owe on it. If you don’t want to rent it out, a short sale could be an attractive option. In a short sale, your mortgage lender allows you to sell the house for less than what you owe. However, it has the right to refuse to allow a short sale, so you must contact your lender to discover if this is an option for you. Short sales frequently take more time than a traditional sale because the lender must agree on the purchase price, so this may not be the best option if your goal is to sell the property quickly. 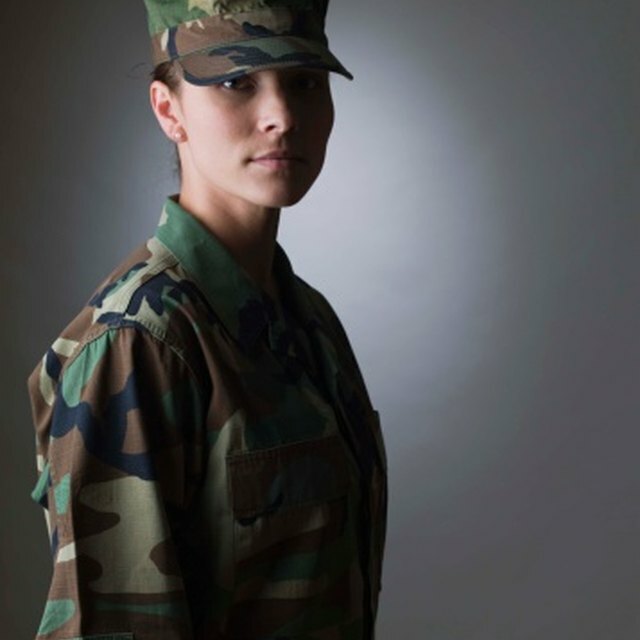 Can I Break My Lease Agreement If I Am Joining the Army? Can You Relocate With Section 8? If you've exhausted all your other options, you can ask your lender to foreclose on the property or simply stop paying the mortgage and let the lender foreclose. In a foreclosure, your bank follows your state’s legal process, including special notice requirements for military members, to take possession of the home. Your lender then sells the home to pay as much of your mortgage debt as it can. However, foreclosure has a negative impact on your credit report, so it could impact your security clearance. Your local military legal office may be able to help you navigate the process of selling your home, including reviewing sale and purchase documents and contracts with your real estate agent. Services provided at your local office may vary based on local policy. The Department of Defense also administers a program for some homeowners whose moves cause a financial hardship because of the military, such as those whose installations are being closed who were forced to sell their homes because of a military transfer while real estate prices were low or who were injured in the line of duty while on deployment. The U.S. Army administers this program for all military branches. The exact qualifications for this program vary based on funding and criteria established by Congress. Loan Safe: Will a Foreclosure Affect My Security Clearance? Army.com: What Matters Can I Receive Legal Help With?